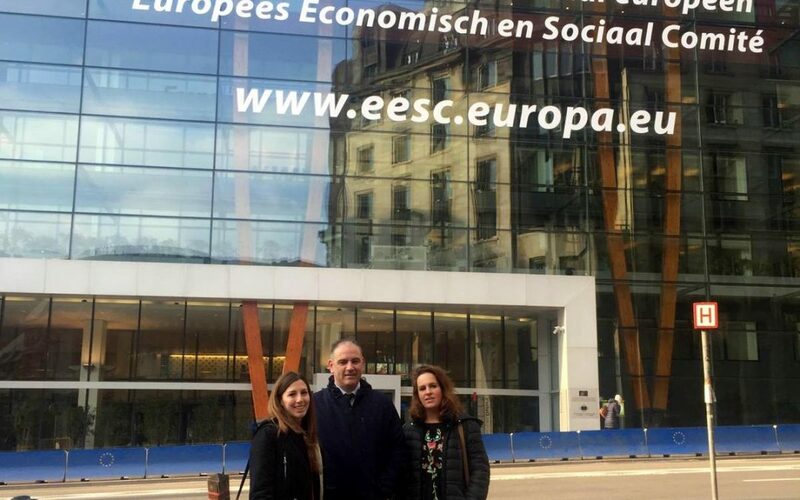 The network has traveled to Brussels this week to participate in events in which it contributes its vision and solutions against depopulation in the European debate. They have also made contacts with possible allies to find a common position on this problem. The Southern Sparsely Populated Areas network is in Brussels this week participating in events to provide the vision and solutions against depopulation in the European debate. It has participated in the conference held by RUMRA, a working group formed by three entities: Euromontana, R.E.D. (Rural Environment Development) and Free (Future of Rural Energies in Europe). This Intergroup works, like SSPA, in policies and measures for rural areas. For this reason, the network has been invited with the aim of joining forces to position depopulation in the European debate. At the event, the European advances regarding rural areas have been put on the table, both in the proposals of the Committee of the Regions and in the amendments presented by the MEPs and approved by the European Parliament. In addition, continuing with its work of European advocacy has also met with the permanent representation of Germany. During the meeting with its head of agricultural policies and rural development, it was possible to comment on the similarities between Spanish and German rural areas, stressing the need to propose common solutions. Among the issues discussed, the multi-annual financial framework 2021-2027 and the document approved by the European Parliament are highlighted with the aim of adding support for the next phase of debate, where the decision will go to the European Council.